Billy Waugh is one of those hard men who do that which only they can do in order that we can sleep safely in our beds at night. The man is an authentic American Hero, who nonetheless blushes at that title. 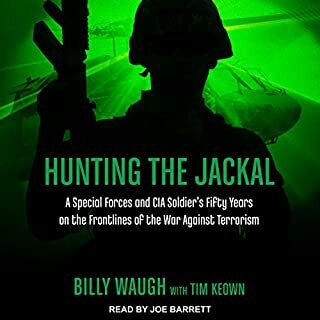 Billy Waugh’s accounting amounts to an amazing depiction of what actually occurred in US Army SOF/SOG and the CIA, from the Korean War thru Vietnam thru hunting Carlos the Jackal thru the defeat of the Taliban during Enduring Freedom. Well worth reading twice !!! Interesting story. Good use of EFP technology. Some breakdown of logic with regard to the military skills level of Max, but otherwise ok. Should have been written as a first-in-series, rather than a complete book in and of itself. "Good to Go"is good to go! 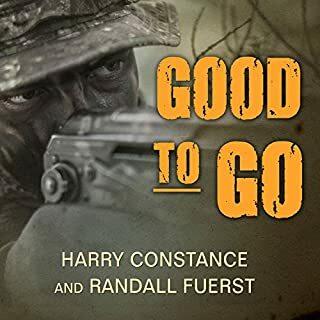 Very interesting life story of USN SEAL Harry Constance, before, during and after Vietnam - honestly stated with no holds barred! . 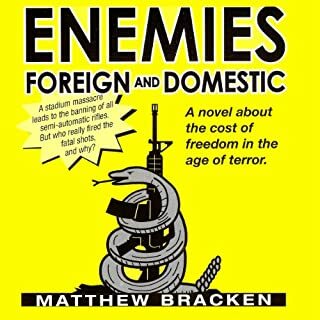 What was one of the most memorable moments of Enemies Foreign and Domestic? THE PAIN IN MY EARS OWING TO TERRIBLE NARRATION FOLLOWED BY TEARING EYES FOLLOWED BY THE RESULTING TRAFFIC ACCIDENT WHEN I PURPOSEFULLY DROVE MY CAR OFF THE ROAD TRYING TO END IT ALL! ANGER AT BAD NARRATION AND SADNESS THAT A GREAT LISTEN WAS RUINED BY BAD NARRATION. THE NARRATOR DEFINITELY QUALIFIES AS A DOMESTIC ENEMY! 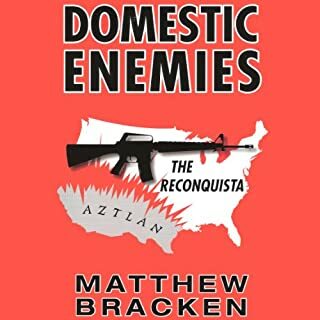 Domestic Enemies: The Reconquista is a novel set in the not-too-distant future in the American Southwest, during a period of low-intensity civil war. The action takes place between Texas and California, but the story is mainly centered around New Mexico. Domestic Enemies: The Reconquista is a sequel to Enemies Foreign and Domestic, but it may be enjoyed on its own. I am getting the series there's 3 books. What would have made Domestic Enemies: The Reconquista better? Storywise - nothing as it's an excellent story! Fortunately, I have previously read the Enemies Trilogy and the Bracken Anthology, and found them first-rate - that's why I purchased the audiobooks.. 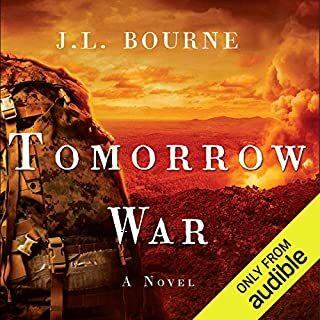 Unfortunately and due solely to very bad narration, the audiobook is simply unlistenable - I couldn't even make it through two (2) minutes of listening (and I tried several times)! Realism, both in terms of characters and probability of events. WORST NARRATION EVER - A DEAF-MUTE WITH A SIGN LANGUAGE STUTTERING PROBLEM, WOULD HAVE DONE A BETTER JOB! THE AUDIOBOOK DEFINITELY EVOKED BOTH ANGER AND SADNESS IN THAT TERRIBLE NARRATION RUINED WHAT SHOULD/WOULD HAVE BEEN A GREAT LISTENING EXPERIENCE! GO BACK AND RE-RECORD WITH A GOOD STORY TELLER! I'M GETTING MY MONEY BACK ON THIS ONE BUT IF/WHEN IT'S RE-RECORDED USING A GOOD NARRATOR, THEN I'LL RE-PURCHASE AND LISTEN AT THAT POINT IN TIME!